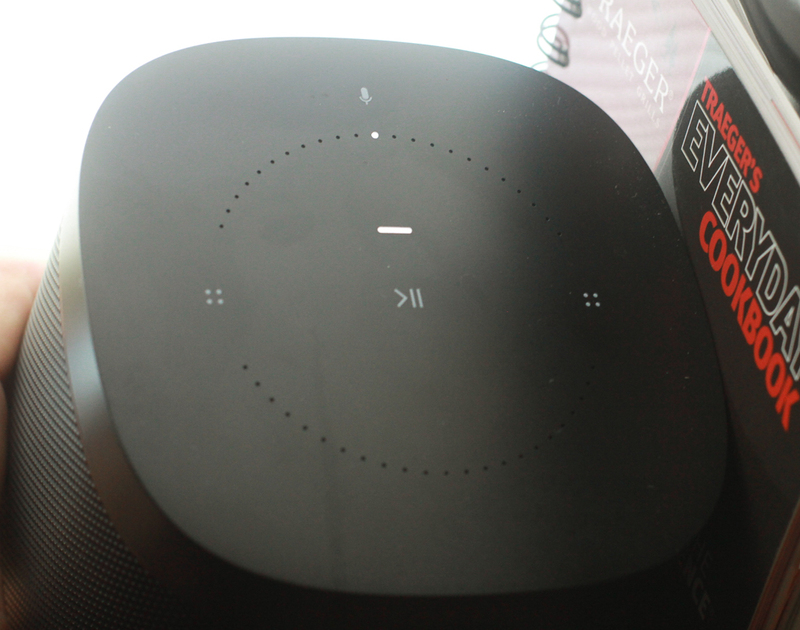 There isn’t much to say about the new Sonos One that hasn’t been said about Sonos already. The company has long been the gold standard in wireless whole-home audio and their speakers, while small, are powerful and more than usable for music, home entertainment, and general merriment. So how do you make a good speaker better? Just add Alexa. The new Sonos One is a $199 fully wireless speaker controlled via your smartphone or desktop. You can put multiple speakers in multiple rooms, pair them together to create a stereo system or even connect four of them to create a surround-sound living room system. This unit works best as a standalone or stereo pair and is great for smaller rooms like kitchens or bedrooms. Any speaker of this size is going to be a little muted in terms of depth and range but Sonos has traditionally done a good job of balancing the sound without resorting to cheap tricks like boosting the bass at the expense of the high end or adding sound improving “filters.” Instead the One has a tuning system that uses your smartphone to hear a series of signals inside the perimeter of the room. It then tunes the speaker to that room in particular. The result is nicer bass response and a clarity that wasn’t there before tuning. There are no buttons on the One so you can’t get tomato sauce or worse stuck in the works when using this speaker outside of the living room. The sparse black or white body is unobtrusive until music starts pouring out of it with a single touch. I will tend to agree with our cousins at Engadget that the Sonos One is the best-sounding smart speaker you can buy. But I’d amend that to say that this is also the best smart speaker you can buy, hands-down. The ease of setup, the plethora of music sources, and the simplicity of the interface blow everyone else out of the water. I’ve used a few wireless systems thus far and barring a few basic Bluetooth solutions that are good for one room there is nothing that compares to Sonos’ feature-rich experience. What does Alexa add to the mix? Quite a bit. First, you can turn Alexa on and off with a touch sensitive switch on the top of the unit. This ensures Alexa won’t be listening to you all the time. Then, once you turn her on, you can request that she play Tom Petty, jazz, Taylor Swift, or any other permutation of playlist, artist, or title available on Apple Music, Google Play Music, Soundcloud, or anywhere else. You can also tell Alexa to play different music in different rooms. Do you need to upgrade all of your speakers to the Sonos One? Not really. 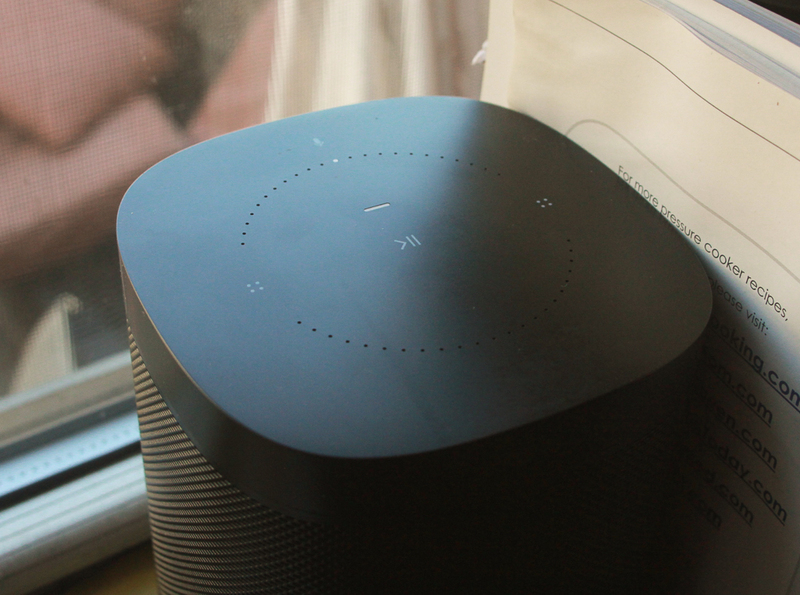 The One is on par with the Play:1 in terms of sound quality, and as long as you have an Alexa-capable device in rooms where the Sonos One can’t hear you, you can still send voice commands. The One, then, is a nice addition to the Sonos pantheon but not absolutely necessary. The cons? Not many. Spotify support hasn’t been released yet so the ability to control that app with your voice isn’t available. Further, $199 is a lot to pay for a single speaker but if you look at the simplicity and single-wire setup then you can definitely see the benefit in spending $400 for a stereo pair (or about $900 for a living room setup versus a similarly priced higher-end wired system). There are home-theatres-in-a-box available for far less but I challenge you to find one with the group of features Sonos offers. So Sonos has done it again. The little company that shouldn’t have survived the 2000s has bobbed and weaved and survived time and time again and this is no different. In a world of me-too audio devices aimed at cheap consumers, Sonos has priced itself high and given us plenty for the money. It’s good to see them taking each tentative step into the IoT future in ways that fascinate and delight.